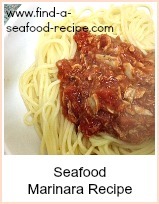 This great collection of easy seafood recipes is designed to help you see how easy it is to cook fish. 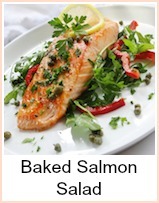 A lot of people are wary about cooking fish because they don't know what to serve it with. 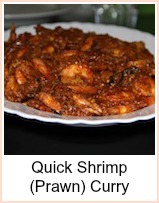 Most recipes on this site have serving suggestions - an example of what vegetable will go with that recipe. It can be as easy as some crusty bread to mop up the juices or a salad to add some color. 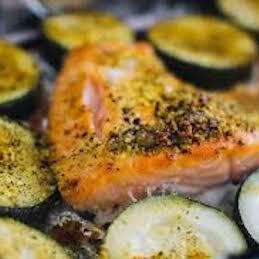 A good rule of thumb when you're cooking seafood is if the fish is 'dry' so grilled, baked, roasted for example without a sauce, then have a saucy side - cauliflower cheese or mac and cheese for example. Use sauces - parsley, cheese, mayonnaise etc - to add some flavour and juices to the finished dish. 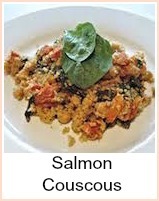 Try cooking an all in one, so vegetables, sauce and fish are all in one pot - then you'll just have to add a carb, potatoes, bread, couscous, pasta, rice and so on. 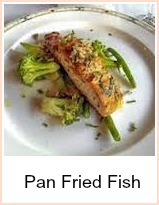 It's no harder putting a meal plan together for a fish main than it is a pork chop or steak. 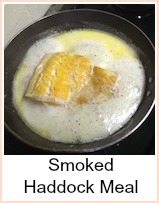 Fish is very quick to cook - with direct heat, 10 minutes or less, oven heat 20 -30 minutes. 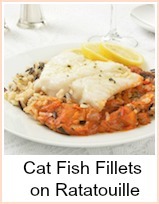 You can have a fish meal on the table quicker than you can get a takeaway. 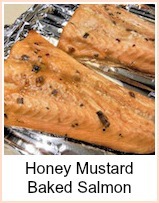 Enjoy these recipes and use the search box at the top of the page if you're looking for something specific. 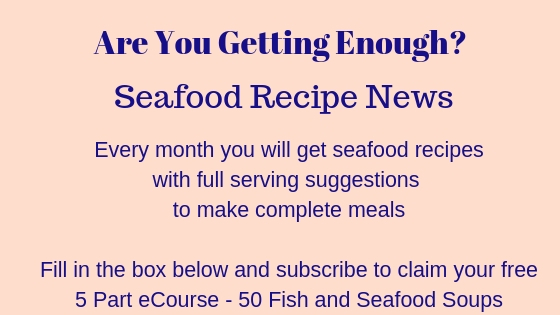 Please get in touch with any questions or comments and do subscribe to Seafood Recipe News, the free monthly online magazine that will give you at least seven new recipes every month for you to experiment with. Click here to see the back issues. Just because it's 'easy' doesn't have to mean boring or run of the mill. 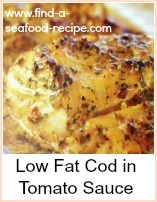 I define easy seafood recipes as being something that doesn't take a lot of steps to cook, doesn't have loads of unusual ingredients and doesn't need complicated preparation. So, a lovely salmon steak, with a great marinade cooked alongside its vegetables I would say is easy, but gourmet. Have a look at some of these fabulous recipes. Some dishes that we look at as simple are actually quite messy - I'm thinking of things like fish cakes where, if you're using leftovers, that's great, but if you're starting from scratch you've got a load of preparation work to do. 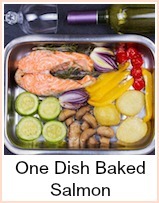 So, to be defined as easy recipes, I think there should be no more than two pans (preferably one!) and a shortish list of easy to find ingredients - nothing exotic or unusual. It shouldn't take too long to cook - no fiddly skinning, rolling or filleting. 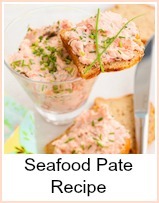 Canned fish is great for learners - it's full of flavour and economical. I use canned tuna in pasta dishes as a substitute for ground beef. Pan frying is quick - get your veggies ready before you start. 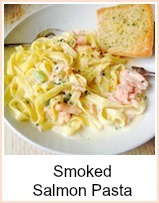 Smoked fish is so tasty and a little goes a long way. This is just a selection of recipes that I would classify as 'easy' - something for everybody, dinner parties, family meals, pasta, curry, you can see how versatile fish is.